There are 41,243 items available. Please enter a number less than or equal to 41,243. Great item, Fast delivery, A**** Thank You!! 1 of the 4 screen protectors arrived damaged. Fast delivery.Item as described. The wrong case. It says 6S and 6 but it’s actually 6 PLUS!!! Good item. Not the best quality, but good for the price. Didnt receive the right size but overall satisfied! 1. 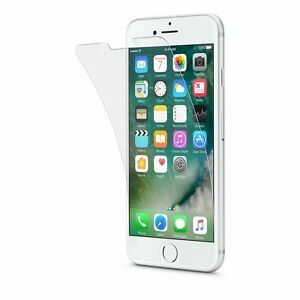 You get 4 screen guards for the £ 1 so it is cheap. (mine 1 was broken) 2. Very easy to get the screen guard on the phone. 3. The design isn't perfect. For instance the front camera is covered by the glass protector. Overall, good value for your money! Bought this for my new iPhone 6. Didn’t fit as well as I had hoped as it didn’t sit nicely on my screen. Also didn’t get anything to clean the screen with before application but everywhere else supplies them. Good price for the 4 though but still annoyed with the shape and size as it’s doesn’t fit screen correctly. As well as this. One was the correct shape for the phone and the other 3 were for a different model as they did not fit. Really not happy with this purchase. Will be buying some from somewhere else now as these have not done the job. Brilliant and saved me at least two screens! These are without doubt the easiest screen protectors i have fitted, none of the usual trapped air bubbles that even if you get rid of manage to come back. these fit perfectly and work really well. Some child threw my daughters i phone last week and it cracked the protector, not the screen! one save already and £70.00+ better off. just ordered another pack as we have 3 iPhone 6S's in the house. Thoroughly recommend these! always repurchase these because i'm clumsy and have a tendency to drop my phone, thanks to these the screens never smashed just the tempered glass protector. highly recommend, great value for money. easy application and removal. This product is amazing. The quaility is fantastic for a low price, works just as well as the ones you pay rediculas amount of money in a phone shop. I love that you get 4 in a pack and how resistant the product is. Only had to replace the cover at least once a month or so I am forever dropping my phone but takes more then just one drop for the protecter to break fantastic product. First purchesed it but wasn’t sure as the price was so low but turned out to be amazing I have purchesed since and absulutly love it! definitely recommend to others.